The broader negative impact of the shutdown on the U.S. economy may be double what was projected, White House economists confirmed on Wednesday, the 26th day of the political standoff. Meanwhile, thousands of employees have been called back to work without pay because of the risks posed for their agencies if, for example, airports continue to run with fewer aviation safety inspectors or the IRS heads into tax season down almost 60 percent of its workforce. On the political front, no high-level talks between Democratic congressional leaders and President Donald Trump were scheduled over the president's demand for billions in funding for a border wall that Democrats refuse to agree to. A bipartisan group of rank-and-file House members did meet with the president mid-morning. White House calls bipartisan meeting "constructive"
The White House said a bipartisan meeting with members of the House Problem Solvers Caucus -- including seven Democrats, Reps. Josh Gottheimer, Thomas Suozzi, Vincente Gonzalez, Anthony Brindisi, Dean Phillips, Max Rose, and Abigail Spanberger -- met at the White House to sit down with Trump in the Situation Room Wednesday morning about the shutdown. Entering the meeting, the members said they planned to tell the president that the conversation about "some of our country's toughest problems" can "only begin in earnest once the government is reopened." "We accepted the White House’s invitation to meet today to convey that message," a group statement read. White House press secretary Sarah Sanders said in a statement after the meeting that it was "constructive." “The President and his team had a constructive meeting with bipartisan members of the problem solvers caucus. They listened to one another and now both have a good understanding of what the other wants. We look forward to more conversations like this,” Sanders said. 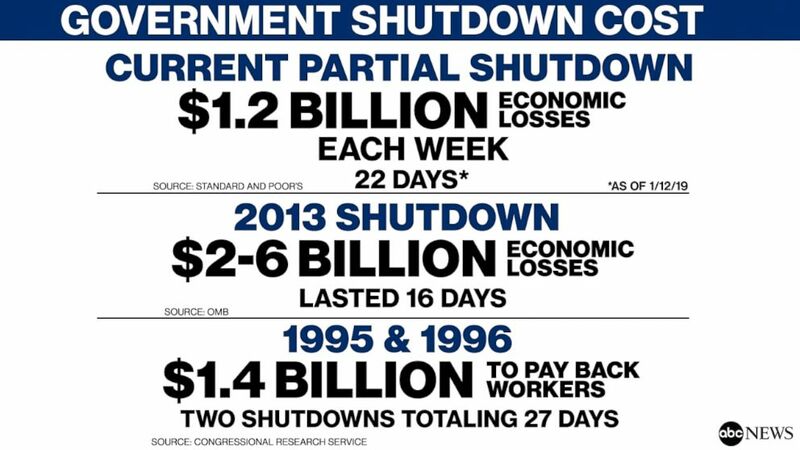 Read more related shutdown coverage from ABC News' Benjamin Siegel and John Parkinson. In a letter to the president, House Speaker Nancy Pelosi proposed the delay saying the U.S. Secret Service and the Department of Homeland Security, the agencies designated to provide security for the Jan. 29 event, have not been funded for 26 days. Read more on this from ABC News' Benjamin Siegel and John Parkinson. A White House spokesperson confirmed early Wednesday that the administration has updated its projection of how much impact the ongoing partial government shutdown is having on the U.S. economy -- doubling the projected negative impact on growth. The increase was first reported by the New York Times. The estimated impact is that the ongoing shutdown is shaving 0.13 percentage points off quarterly economic growth each week it continues, according to the White House official, and the updated model changed to include the estimated impact from contractors that are not working because of the shutdown – a number they said is harder to estimate -- in addition to furloughed federal workers. 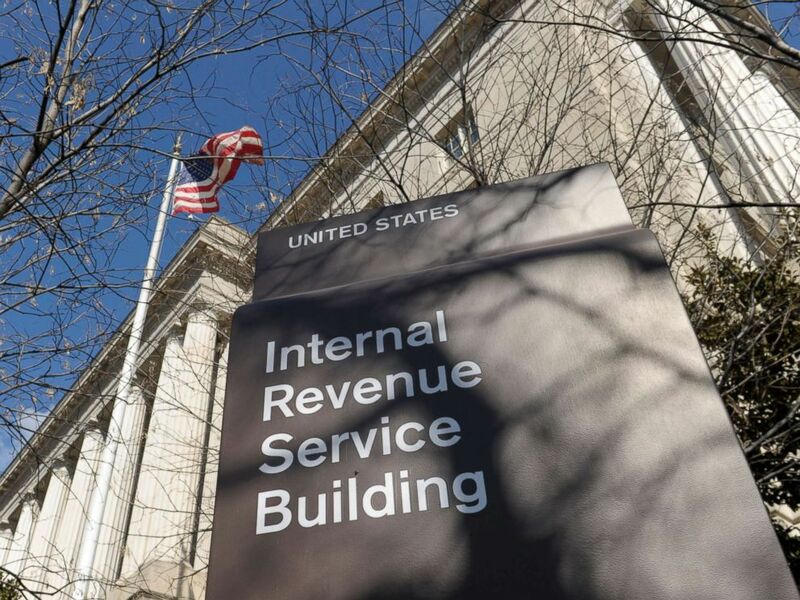 After it was announced Tuesday that tens of thousands of IRS personnel would return to work to process refunds, along with air traffic controllers and food inspectors, the Agriculture Department said Wednesday it would recall about 2,500 employees to process farm loans. The latest estimate of workers required to report to duty without pay was 450,000 as of Friday, according to the office of Democratic Sen. Patrick Leahy, vice chair of the Senate Appropriations Committee. The tens of thousands of workers recalled this week is likely to push that number closer to a half a million, assuming the shutdown continues through the end of the month. Tim Kilcoyne, a lead chef with the Jose Andres' non-profit World Central Kitchen, said he found it strange to open a cafe and restaurant already fully furnished and with a ready-to-go kitchen, not to mention one surrounded by bustling businesses and busy streets. Here in Washington, the problem is not a fire or a flood -- instead, he and other volunteers have arrived to help feed some of the 800,000 government employees who are still without a paycheck on day 26 of the longest-ever government shutdown. The pop-up, which opened on Wednesday, is called #ChefsForFeds and will be open from 11 a.m. to 6 p.m., seven days a week, to provide federal workers in the nation's capital with free meals at its location on Pennsylvania Avenue just down the street from both the White House and Capitol. Sen. Lindsey Graham, a Republican and frequent ally of the president, said he and a bipartisan group of senators would ask Trump to go along with a short-term measure that would reopen the federal government, with a promise that within a "few weeks" they might be able to reach a viable solution that would meet the president's border security needs, the senator from South Carolina told reporters on Capitol Hill Tuesday night. "I’m hoping in the next 24 hours there will emerge a group of Republicans and Democrats who will basically ask the president jointly to give us a few weeks to work on this, with you, to see if we can produce a result in the Senate," Graham said, later adding that he couldn't guarantee an outcome in that time but "can pretty well guarantee you’re getting nowhere quick doing what we’re doing." "I would ask the president, if that does come forward and there’s a critical mass of Republicans and Democrats asking for a period of time to work on this a short term CR, the president strongly consider giving us that opportunity," he said. "If that doesn’t work, then you can act through executive power saying I did everything I could," Graham said, referring to Trump's threats to fund a border wall by declaring a national emergency through an expansion of executive power. Trump had said Monday that he had rejected Graham's idea, which Graham first proposed over the weekend. 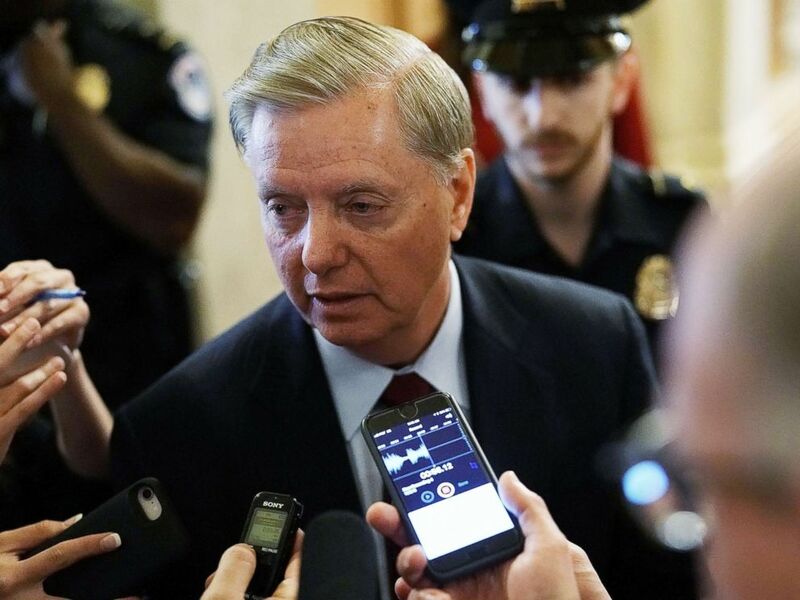 Sen. Lindsey Graham speaks to reporters at the U.S. Capitol, October 5, 2018, in Washington, D.C.
Graham gave credit to his colleagues across the aisle, who he said will cooperate on border security but want to be able to hold up their end of the deal. "There are plenty of Democrats who are willing to help the president meet his priorities in a reasonable fashion if they get something, too," Graham said. Read more related shutdown coverage from ABC News' Mariam Khan. Andrew Wheeler, Trump's nominee to take over as head of the Environmental Protection Agency, faced questions about the impact of the government shutdown on EPA's work and employees on Wednesday. 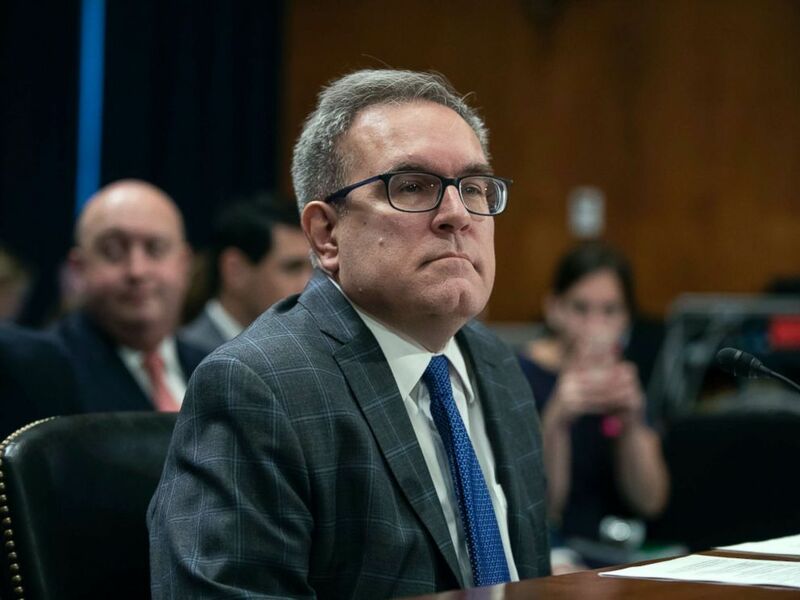 Andrew Wheeler, acting administrator of the Environmental Protection Agency, appears before the Senate Environment and Public Works Committee on Capitol Hill in Washington, Aug. 1, 2018. Democrats also raised concerns that Wheeler's nomination was being pushed through during the shutdown even though he could continue serving in an acting capacity for much of the year. A protester stood up as Wheeler began his remarks to "object" the hearing was being held during the shutdown. More could be heard in the hallway outside the hearing room changing "shut down Wheeler, not the EPA." Read more on this from ABC News' Stephanie Ebbs. The IRS will require some 46,000 employees to work without pay throughout the upcoming tax season to ensure returns are processed and refunds are mailed, the agency announced Tuesday in an updated plan for the government shutdown. That represents almost 60 percent of its 80,000-person workforce. The exterior of the Internal Revenue Service building in Washington. Read more on this from ABC News' Anne Flaherty. Unpaid federal workers and contractors have started selling personal property, creating small businesses and spending more time with old friends. Working for the Coast Guard was always Albert Waterford Jr.'s dream job. The disabled veteran enlisted for two decades and, after his retirement, went back to work for the service as a civilian. His wife, Kate Wells Waterford, is a small business owner who trains horses. For those in the Coast Guard, the furlough has affected them differently because service members in other branches of the U.S. military fall under the Defense Department, for which funding has been approved. The Waterfords hoped to receive their normal three paychecks this week: one for Albert's retirement from the Coast Guard, one for his job as a civilian and an additional check for his disability from the Veterans Affairs. But because of the shutdown, the couple has started a "furlough sale" to supplement lost income -- selling saddles, halters, bridles and items on social media. "I called it a furlough [sale] because it is more of an urgency now," Kate Waterford said. "It's really made us re-evaluate our whole lives." Read more on this from ABC News' Beatrice Peterson and Tessa Weinberg. 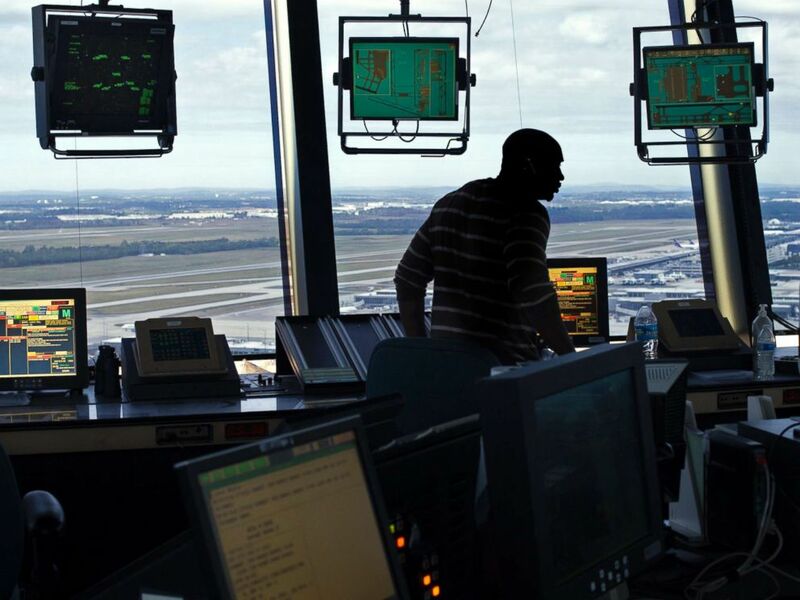 In this Sept. 27, 2016 file photo an FAA Air Traffic Controller works in the Dulles International Airport Air Traffic Control Tower in Sterling, Va., Sept. 27, 2016. Read more on this from ABC News' Jeffrey Cook.